Center Stage, by Michael Crews Development, is one of Escondido’s best new home neighborhoods and includes an exclusive new floor plan! 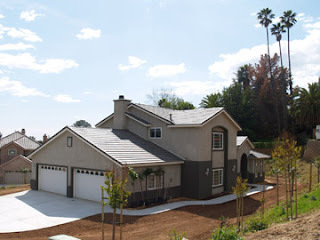 Each luxurious new home at Center Stage is situated on a near half-acre lot, and provides beautiful, picturesque views of Escondido’s palm-covered hills and valleys. 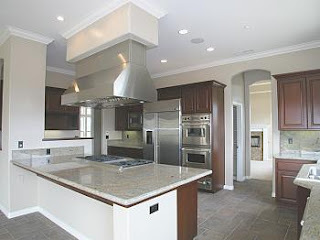 The homes range from 2,885 to 3,704 square feet, with 4 to 5 bedrooms, 3 baths and up to a 4-car garage. Michael Crews Development is known for its top-of-the-line amenities such as stainless steel GE Profile appliances, mirrored closet doors, granite-slab kitchen countertops, Porcelain-over-steel tubs in secondary bathrooms, structured multimedia wiring, slab-travertine countertops in the bathrooms and laundry room, designer lighting, Porcelain tile flooring and more! Sales Offices are open daily at El Norte Park in Escondido from 9 a.m. to 6 p.m. Offices are also open daily (except Thursdays) from 10 a.m. to 5 p.m. at Center Stage, Gretna Green, Cityscape and Royal View in Escondido. 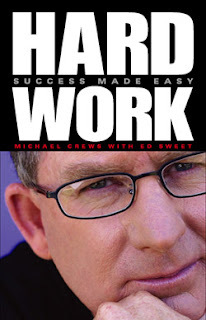 Michael Crews' book, HARD WORK: Success Made Easy was nationally recognized as a semi-finalist in the 2005 Independent Publisher Book Awards (IPPY Awards). The book was one of only 12 titles chosen in the business/career/sales category. The Independent Publisher Book Awards honors titles published by independent authors and publishers. Established as the first awards program open exclusively to independents, more than 1,000 "IPPYs" have been awarded to publishers, drawing in entries from around the world. HARD WORK also earned first place in the business category at the 2005 San Diego Book Awards. Launched in 1993, the San Diego Book Awards Association honors excellence in the San Diego County writing community, and promotes the advancement of literacy. The association recognizes local writers in 20 different categories, both published and non-published works. It's time to give up hoping and praying and wishing and waiting for an immediate, rags-to-riches success story. If you want bonafide, genuine and rewarding success, you have to make an honest effort. That's exactly what San Diego native Michael Crews did, and his hard work has landed him in the elite class of multi-millionaires with one of the fastest growing real estate companies in America. Through his book, Michael wants others to learn how hard work earns success. At age 19, Michael Crews, then a real estate salesman, enthusiastically resolved to work harder than everybody else. If other sales reps made 50 phone calls, Michael Crews made 75. When nobody wanted to give up their Saturdays to work, Michael Crews worked every single one. When everyone else was simply getting the job done, Michael Crews was getting it done the best way possible. It wasn't over night. It wasn't in a week. It wasn't even in a few years, but over time, good, old-fashioned, hard work paid off for Michael Crews, president of Michael Crews Development, a large real estate development company in southern California. Crews' book, HARD WORK: Success Made Easy, is a hot item among business professionals, college students and anyone who is looking to succeed in life. According to Crews, all a person needs are the right "Crews Controls" and the right work ethic. In HARD WORK, Michael Crews reveals these tools. The 16 fundamental concepts that have helped him succeed ("Crews Controls") simultaneously tie in to various personal stories and examples of how each one has benefited him in life. Michael's "Crews Controls" are already propelling readers. “I am going through a period of personal upbuilding with my new ministry venture. I feel like I am trying to build the ministry on the principles Michael writes about in his book. It helped clarify the goals I am working toward." -Jim Adkins, Pastor, President and Founder of Let's Talk USA! Whether you wish to gain financial success, economical success or personal success, HARD WORK will help attain it. It will help set goals and reach them. It will challenge you to go above the norm, set higher standards and to do what other people won't do because they refuse to work hard. It will inspire you, and help inspire those around you. foot estate homes. These beautiful single-family residences include spacious gourmet kitchens for entertaining, high quality standard features and amenities, and open living quarters that welcome comfort and relaxation. Michael Crews is North County’s local homebuilder. Born and raised in Escondido, he has been masterfully constructing luxury homes throughout North San Diego County for more than 28 years. Sales Offices are open daily at El Norte Park from 9 a.m. to 6 p.m. Model home hours vary at our other sites. Call the Sales Office for details. To get to El Norte Park, from I-15, exit on El Norte Parkway and head East. Turn left on Midway Drive into the El Norte Park neighborhood. Watch for sign twirlers and look for Open House signs and our big red balloon! Tour a new Michael Crews Development home today and experience quality, luxury, location and appeal - all at an extremely affordable price! 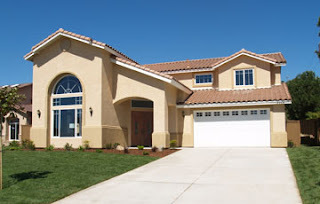 Current new home neighborhoods include El Norte Park, Center Stage, Gretna Green, Cityscape and Royal View. Each neighborhood brings a unique feeling of comfort and quality to Escondido. Get more for less at Michael Crews Development’s Center Stage neighborhood off Idaho Avenue and Purdum Lane. Center Stage offers five new homes situated on near half-acre lots ranging from 2,885 to 3,704 square feet. The homes have 4 to 5 bedrooms, 3 bathrooms, 4-car garages, and convenient access to both Highway 78 and I-15. Located in a quaint cul-de-sac, El Norte Park is ideal for any family! 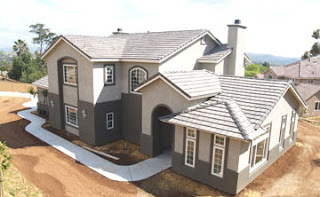 This magnificent group of new single and two-story homes is just off El Norte Parkway. Homes range from 2,784 to 2,950 square feet with 4 to 5 bedrooms, 2.5 to 3 baths and up to a 3-car garage. Dining, shopping, recreation and a high ranked school district detail the new homes at Gretna Green. With North County Fair Mall, Kit Carson Park, Lake Hodges and more next door, these two-story homes feature 2,885 to 3,704 square feet, 5 bedrooms, 3 bathrooms and 4-car garages. 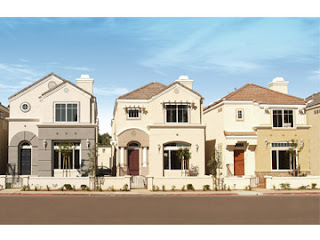 Only five homes remain at the trendy Cityscape neighborhood located off Escondido’s Midway Drive and Grand Avenue. These row-homes offer 2,071 square feet of elegance and style. Each home has 4 bedrooms (optional den), 2.5 bathrooms, and a 2-car garage. Don’t miss out on your chance to own one of these incredible homes! 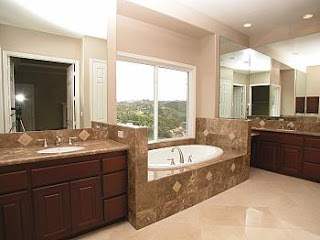 Rounding out the Escondido properties is the gated Royal View neighborhood in the San Pasqual Valley. These exclusive, single-level estate homes are situated on minimum two-acre lots ranging from 3,487 to 4,164 square feet with 4 to 5 bedrooms, and up to 6-car garages. Select lots include motor home garages and pools. Individual lots are also available for sale. Be sure to ask about the Trade Up Program available at all Michael Crews Development neighborhoods. Michael Crews’ emphasis on quality is apparent with top-of-the-line amenities included in each home such as stainless steel GE Profile appliances, granite-slab kitchen countertops, fireplaces, two-toned paint, mirrored closet doors, Porcelain-over-steel tubs in secondary bathrooms, structured multimedia wiring, slab-travertine countertops in the bathrooms and laundry room, designer lighting, Porcelain tile flooring and more. The Corporate Sales Office is open daily at El Norte Park in Escondido from 9 a.m. to 6 p.m. Models are open for tours at various neighborhoods from 10 a.m. to 5 p.m. daily (except Thursdays). Michael Crews Development is currently offering rebuilding assistance for victims of the 2007 Firestorm. If you and your family have been affected, please call Michael Crews personally on his cell phone at 760-535-8661. He is here to help. 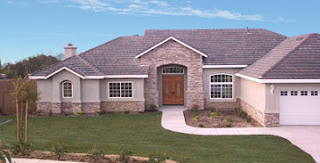 The Michael Crews Development Sales Office can be reached at 760-751-1212, or visit us online at http://www.michaelcrews.com/. luxury real estate development company!